Velopalooza would like to invite you to put on your fancypants and join us for a leisurely meandering ride around the fair city of Vancouver. 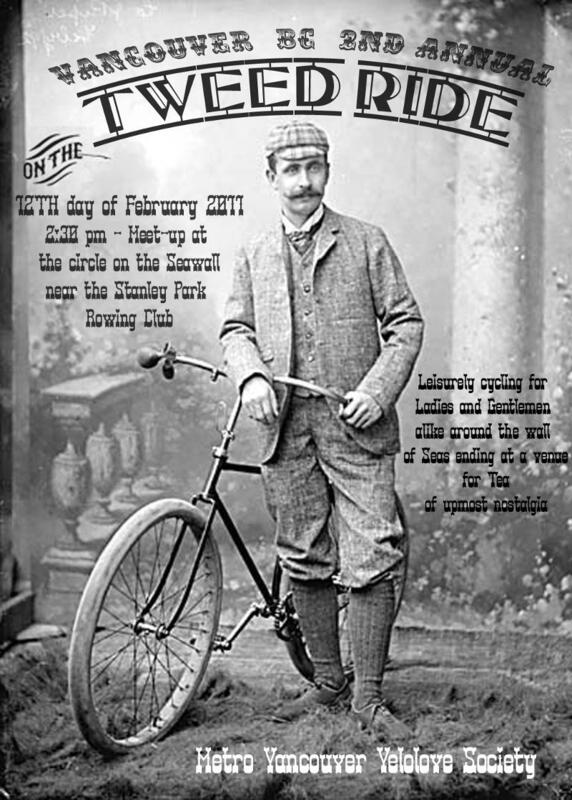 Meet at 2:30pm on Saturday the 12th day of February at the roundabout on the seawall near the Stanley Park Rowing Club. We will be stopping by to cheer on the sophisticated sport of bike polo. Dress your best as there will be prizes given to the most marvelous moustache, most dapper chap, most dashing dame, and the tweediest. After the well mannered ride we will stop at The London Pub for libations and comestibles. You can see more details on the Velopalooza website.